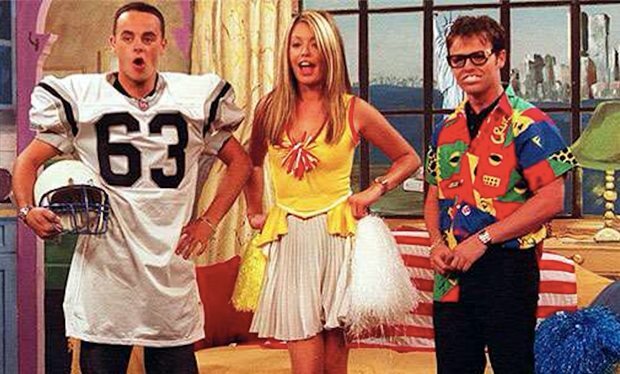 Twenty years after it first aired, the much-loved SMTV Live will return to ITV in 2018. Presenting duo Ant and Dec confirmed the Saturday Morning show SMTV will be making a comeback next August, a whole two decades having passed since the original broadcast. Speaking at the BAFTAs, Dec revealed: “ITV have just agreed to it. They are on board now. We’ve had the first discussion now and it’s going to be August or September next year. SMTV Live first appeared on our screens August 29, 1998 and ran until December 27, 2003. The show was fronted by Ant, Dec and Cat Deely, who has since gone on to host a number of high profile television shows in the US. The series was axed when Ant and Dec decided to take the job with Pop Idol in 2003 and they, like Cat, have gone on to have a tremendously successful presenting career, fronting the likes of Britain’s Got Talent, I’m A Celebrity…Get Me Out Of Here! and Ant and Dec’s Saturday Night Takeaway. Cat spoke previously about the idea of a SMTV Live reunion. She said: “I think it would be a great idea. It’s been 20 years. I think it’s about time, isn’t it, for all those with a misspent youth? SMTV Live will return August 2018 on ITV.